We currently have a wildfire going on which is located south of Blodgett Road near Stevens Brook. There are conflicting information about the size of the fire. The fire is moving north and its size is about 4 to 15 acres. Fire Departments from the towns of Brimfield, Holland, Munson, Warren, and other towns are near the fire. 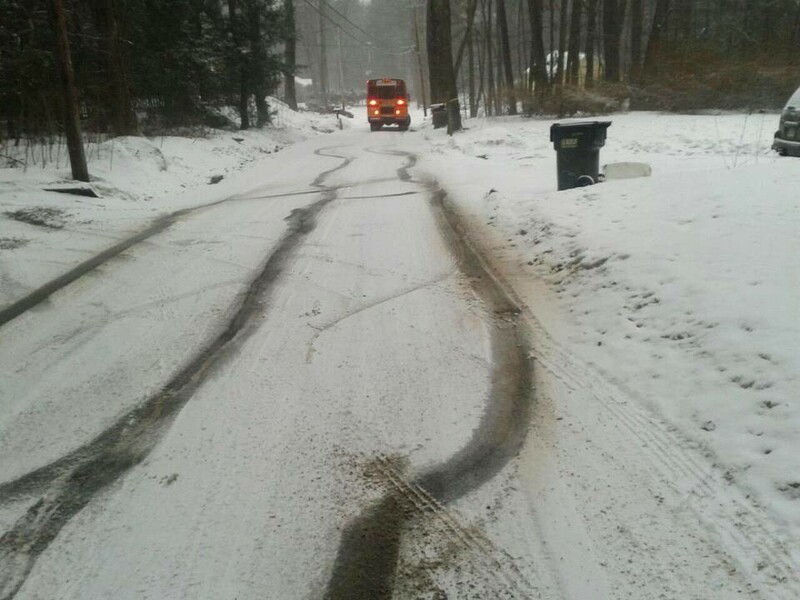 The fire is remote and no road gets close enough to fight the fire with the trucks. Even the National Guard is on its way. Smoke was noticed as early as noon time and the Holland Fire Department was trying to locate the source immediately. I will update as soon as more news are available. Connecticut will be treated at a future date and will let you know in advance. Thanks for your cooperation ... please stay off the lake for the day/night of treatment. 3. Save the Date: July 13 for the Public House Buffet .. Call Bev 413 221 3156 for tickets ... this is a great fund raiser for Lake Preservation and the food is great too. James & Heather Wettlaufer, not true! I learned that Heather and James Wettlaufer attended (for the first time) the annual pan cake breakfast organized by the Hamilton Reservoir Association. The Wettlaufer's showed a picture they carried on their cell phones to everybody who would listen and claimed that it would involve me or the Holland Blog. The picture shows Earl Johnson's gravestone right next to one of James Wettlaufer's campaign signs. The Wettlaufer's downloaded the picture from the facebook page with the name 01521.com. I have neither anything to do with that facebook page, neither do I have anything to do with the picture. As far as I know, the facebook page was created and is maintained by James LaMountain. I also learned today that someone allegedly pored gasoline over Earl Johnson's gravestone. I denounce actions like that in the strongest terms. The fact that a jury found Brian Johnson's behavior to be, “extreme and outrageous and beyond the bounds of decency and intolerable in a civilized society,” does not give anybody the right to behave the same way towards the Johnson's. Heather and James Wettlaufer, I assume, didn't know any better and are excused as they must be under a lot of stress right now (and desperate). Please Vote Today, Monday June 9! This is an important Election, we need every vote! Wettlaufer and his supporters who have a financial interest in him being re-elected will go to the polls guaranteed! Please do the right thing for a better future, for a better Holland. Wettlaufer's Board of Selectmen wasted $68,540.48 on unnecessary lawsuits and counting. The Holland Blog obtained invoices in the amount of $68,540.48 Wettlaufer's BOS paid to attorney Sapirstein for unnecessary frivolous lawsuits, private lawsuits, appeals, and also defending Brian Johnson against a Criminal Harassment Prevention Order sought against him. 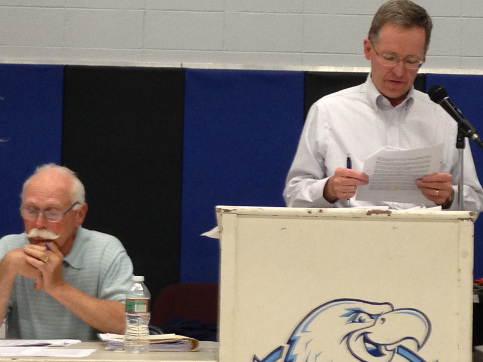 Picture: Annual town meeting, May 27, 2014. James Wettlaufer, chairman of the Board of Selectmen sitting on the left; William Hardy, moderator, standing on the right. Meet at 8:30 at the canoe launch / trail head on Pond Bridge Road. The portion of the trail we will be working on has been scraped, the pavement pulverized, and grading completed. We will be applying the final surface of half inch process, basically a mix of stone dust and gravel. We need volunteers with tractors and dump trucks to do this work. Our next task is maintaining the existing trail with brush clearing, weed removal, etc. Tools needed: a few shovel, rakes, loppers, trowels, and work gloves. Pizza will be provided! Our next trail ride on October 19th. It is part of the Walktober celebration sponsored by The Last Green Valley. We will meet at the trail head on Pond Bridge Road. At 9:30 there will be a safety check & minor adjustments by a mechanic from Bicycle Concepts. The ride is from 10:00 - 12:00 with options for a shorter ride. It is mostly on trails, though a small part is on little-traveled public roads. Helmets are required. This is a great family activity! Trail Ride on Saturday, June 8th. 2013. The Holland Trails Committee & Brimfield Trail Committee will be leading a Trail Ride on Saturday, June 8th (rain or shine). Meet at the kayak/canoe launch by the bridge on Pond Bridge Road in Holland. 9:30 safety & check & minor adjustments by a mechanic from Bicycle Concepts. Ride: 10:00 - 12:00. About 10 miles (options for a shorter ride) mostly on trails, though a small part will be on little-traveled public roads. Conditions: a few rough or sandy spots, but generally good. Helmets required. This is the 3rd ride we have sponsored. Come out and see what's been accomplished! 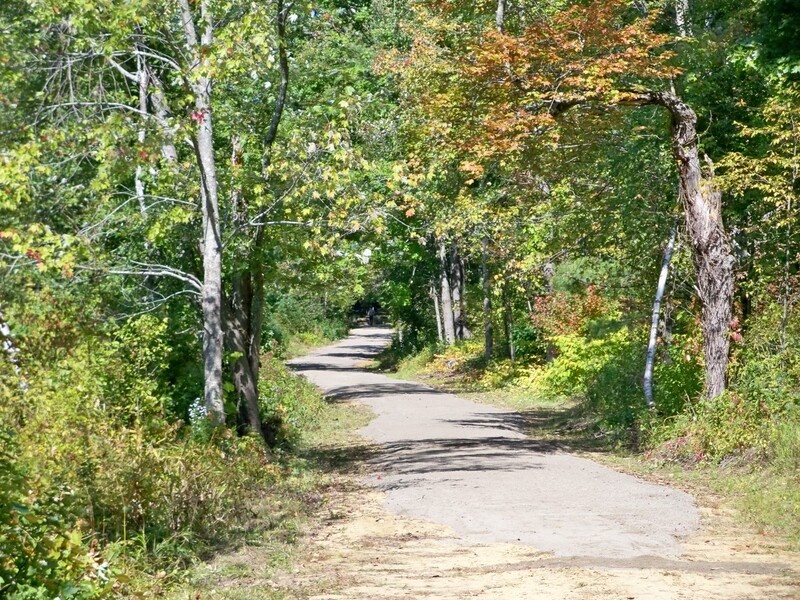 The Holland Trails Committee is sponsoring a workday from 8:30 to 12:00 on Saturday, May 11th. Meet at the trailhead parking lot for Lake Siog Pass (20 Pond Bridge Road). Volunteers will spread gravel to complete the final surfacing of the trail. Meet at the trailhead parking lot for Lake Siog Pass (20 Pond Bridge Road). Spring is here, so let’s get the trail ready for the first ride of the year! The Holland Trails Committee is sponsoring a workday from 8:30 to 12:00 on Saturday, April 13th. Meet at the trailhead parking lot for Lake Siog Pass (20 Pond Bridge Road). Volunteers will spread gravel to complete the final surfacing of the trail. Signs will also be installed to welcome and guide the public. Meet at the trailhead parking lot for Lake Siog Pass (20 Pond Bridge Road). Pizza will be provided. The section of Lake Siog Pass shown in the picture was completed last fall. For additional information, contact Richard Haller at 413 245-7745. This is what our buses are driving on?? ?